The Seahawks lost two more starters to injury in their overtime loss to the 49ers, both Jordan Simmons and Bradley McDougald leaving the game with knee injuries. SANTA CLARA, Calif. — The Seahawks finished Sunday’s 26-23 overtime loss to the 49ers without their starting strong safety and with their third-team right guard. Both changes — because of injury — caught up to the Seahawks. Starting safety Bradley McDougald didn’t play after the first quarter — in which he had forced a fumble to end a promising San Francisco drive — and was replaced by Delano Hill for the rest of the game. Jordan Simmons, who started at right guard in place of injured D.J. Fluker, left late in the third quarter with a knee injury and was replaced by Ethan Pocic. Pocic, a second-round pick out of LSU in 2017, began the year as a starter at left guard and struggled against the 49ers. He was called for two holding penalties, including one that wiped out a 32-yard pass from Russell Wilson to J.D. McKissic that appeared to convert a third-and-4 on Seattle’s first possession of overtime. The Seahawks threw a short pass on third-and-14, punted and never got the ball again. Simmons has battled knee injuries throughout his career, and Carroll said he has a sore knee. The hope is that Fluker can return for the Kansas City game after sitting out the last two weeks with a hamstring injury. 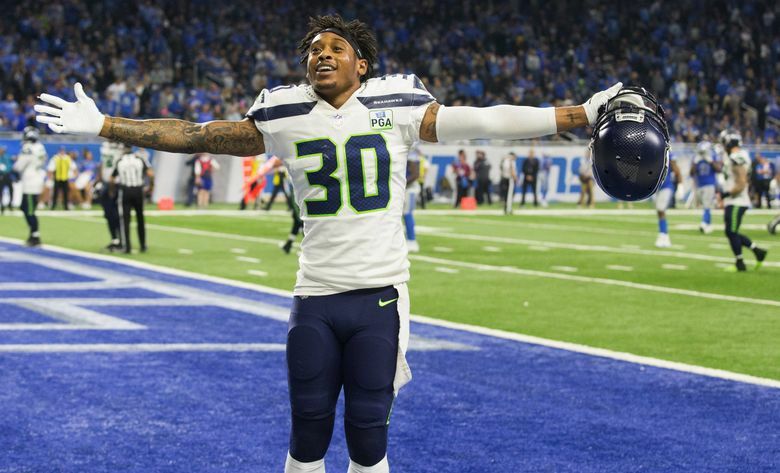 McDougald has dealt with a knee issue for a few weeks, and it finally got to be too much for him to continue. The 49ers drove for their only offensive touchdown on the first series after McDougald’s departure. With McDougald sidelined, former Washington State star Shalom Luani also saw ample time working in the Seahawks’ six defensive-back package. Luani had two tackles and a quarterback hurry. The return of receiver Doug Baldwin helped the Seahawks greatly on offense. Baldwin was listed as questionable with a hip injury that sidelined him last Monday against the Vikings. Baldwin had two touchdown catches and had 77 yards receiving — the second most of his season — on four catches. Baldwin predicted Friday that he would play against the 49ers. He said after the game that it felt good to actually be able to play like usual. “Felt good,’’ Baldwin said “I think this has been a long time coming. We’ve been working diligently trying to get my body right. It’s been a process, moving all up the chain, finally feeling like my normal self. I think we figured out tonight, before the game, figured out the last component to making sure my body is staying healthy. Bob Condotta: 206-515-5699 or bcondotta@seattletimes.com; on Twitter: @bcondotta. Bob Condotta covers the Seahawks for the Seattle Times. He provides daily coverage of the team throughout the year.